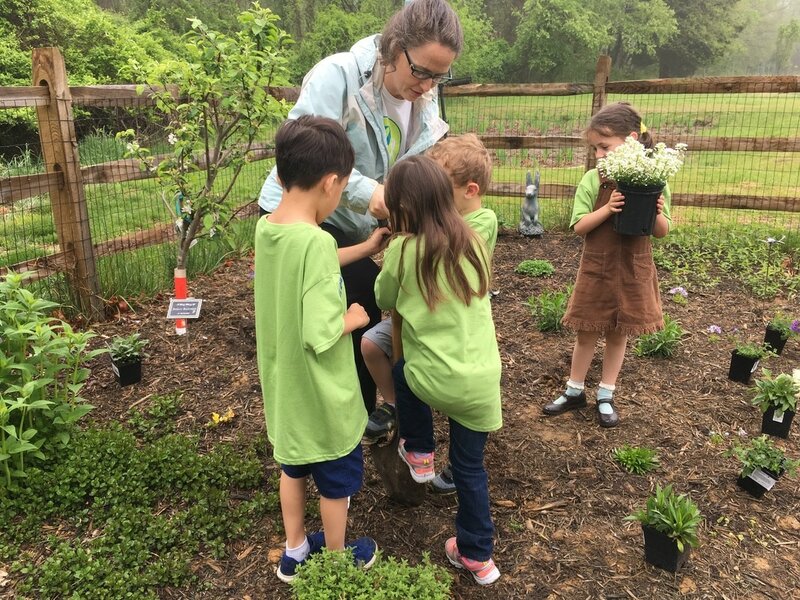 St. Margaret's has been named a Maryland Green School by the Maryland Association for Environmental and Outdoor Education! As we move forward with integrating environmental education into our programs, we are working on developing our outdoor classroom. Check out what we've accomplished below. SMDS is a "Monarch Waystation." Monarch butterflies are an endangered species, and by creating and maintaining a garden that serves as a nurturing habitat, we are able to contribute to the effort to save them. For more information, visit the website of the US Forest Service. We are also a National Wildlife Federation Schoolyard Habitat. Check out more information here. 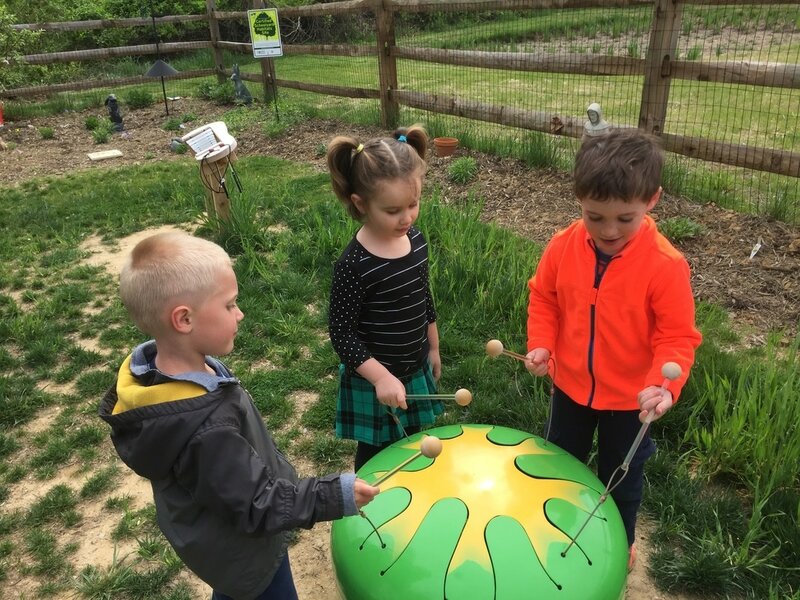 With community help and our amazing PTo, we have been able to add new items and activities to our outdoor learning center every year. We have placed exploration tables, an outdoor music station, and outdoor log seating in our outdoor space. ​If you would like to contribute to the development of our outdoor classroom, see our fees and donations page. Money will go toward the purchase of native plants, trees, planter boxes, tools, and other items. Donor plaques are available for those who choose to sponsor a tree. To learn more about contributing to our green initiatives, please contact tricia@st-margarets.org.